If you’re not happy with your smile, you’re not alone! Nearly 50% of Americans dislike what they see when they look in the mirror. Discolorations, chips, cracks, and misaligned teeth can all steal your beautiful, youthful smile making you feel self-conscious, or even embarrassed, by the look of your teeth. Cosmetic dentistry is a great way to brighten your smile. Affordable and discreet, only you will know that you have had a cosmetic enhancement. If you have a chipped, slightly misaligned, or otherwise imperfect tooth that needs cosmetic restoration, we may suggest one-appointment bonding. Our dentists can apply putty-like composite resin, shaded to blend with your tooth’s color, to rebuild a pleasing shape to your tooth. After hardening the resin with a curing light, we will artistically sculpt and polish the restoration. In just one visit, you can enjoy a beautiful new smile! With extensive experience in performing cosmetic bonding, our dentists can create a gorgeous look that is surprisingly cost effective. Porcelain veneers lead the list of popular cosmetic treatments and there are plenty of reasons why. Sometimes referred to as instant braces for their ability to mask misalignments, they can also immediately whiten teeth, correct cracks and chips that are more noticeable on front teeth, even give your teeth a more uniform appearance. Our Sulphur dental office offers both traditional and the minimum preparation veneer, Lumineers. What’s the difference? Traditional veneers require some buffing your natural tooth enamel to fit properly with your existing teeth. 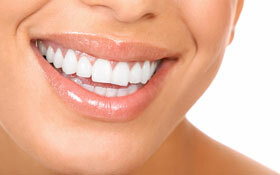 Because of this preparation, traditional veneers are permanent. Lumineers are a minimum prep veneer, meaning we can place the veneers with no removal of your natural tooth. If you change your mind, Lumineers can be removed with your original smile right underneath. So if you’re looking for a smile makeover that can be complete in just a few visits, porcelain veneers or Lumineers are an excellent option. Popular, safe, and effective, teeth whitening has our patients good reason to smile. Now, with professional whitening systems, we can help you achieve the pearly whites of your favorite celebrities. Our practice uses the Sapphire Light whitening system, which use a very powerful Sapphire Plasma Arc Light along with a professional grade whitening gel to lighten your teeth up to eight shades in just about an hour.